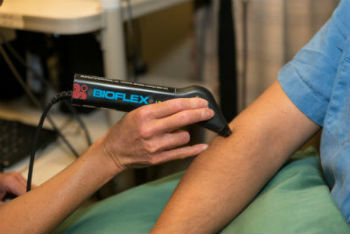 Back in 2004, we were proud to be the first office in British Columbia to offer the Bioflex® laser system. Over the years, we’ve kept up with the latest developments in laser therapy to continue providing the best care to our patients. Are You a Candidate for Laser Therapy? There are few contraindications for laser therapy, meaning nearly anyone is a candidate. If you are bothered by an injury or pain, our laser will address your repair and healing at a cellular level. Laser therapy can be particularly powerful when combined with chiropractic care, which will optimize your body’s infrastructure. Dr. Rob will be holding a free talk on laser therapy in our office on Thursday, April 18th at 6:15 p.m. If you’d like to learn more about laser therapy, how it works and whether it might be right for you, this is your opportunity. Contact us today to reserve your seat!